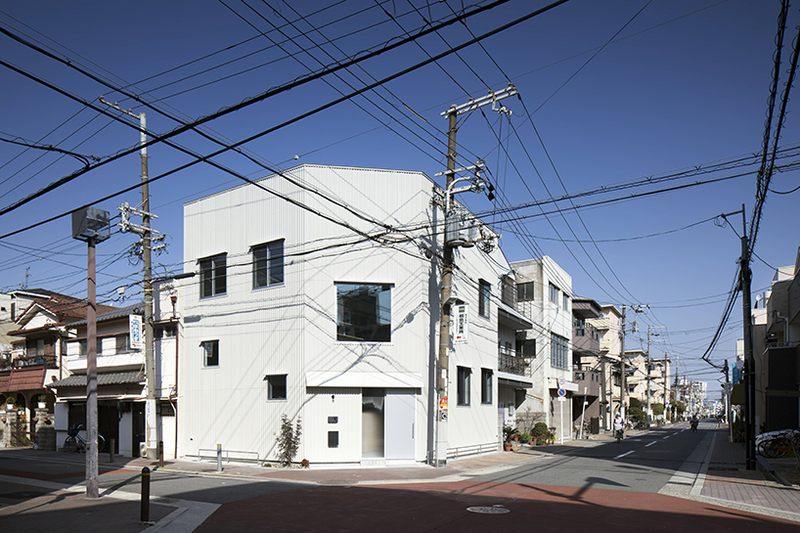 The Zeze Osaka Project in Japan is a shared house designed by Swing. They considered the height of each room and amount of floor space in creating a shared house that doesn’t feel like a studio apartment. A studio apartment floor plan typically has every room such as the kitchen, bathroom and living area in one space which are not separated by walls except for the bathroom. The architects envisioned a shared house that is both functional and beautifully designed. Additionally, they wanted to create a home that has both individual and communal features, allowing residents both privacy and areas to mingle. Each rooms height and floor space is designed to balance those ideas. The home features 8 different bedrooms for each individual person for privacy and retreat. The common areas are where designers used their expertise to maximize space and encourage interaction between residents. The loft features built in shelving to store shared belongings with one long desk underneath where residents can sit on the floor and comfortably dangle their legs over the edge. 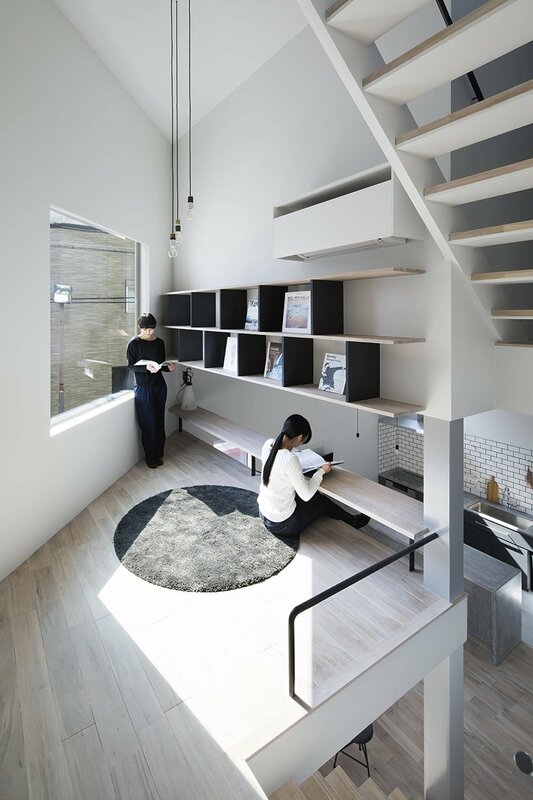 This design utilizes the space in a creative way not only allowing members of the household plenty of desk space but also the ability to engage with those in the common areas below. A large glass window in the loft area gives residents a view of the city surrounding them and allows natural light to flood into the home. Being that the loft is open, it allows natural light to illuminate both the loft and the areas below it. 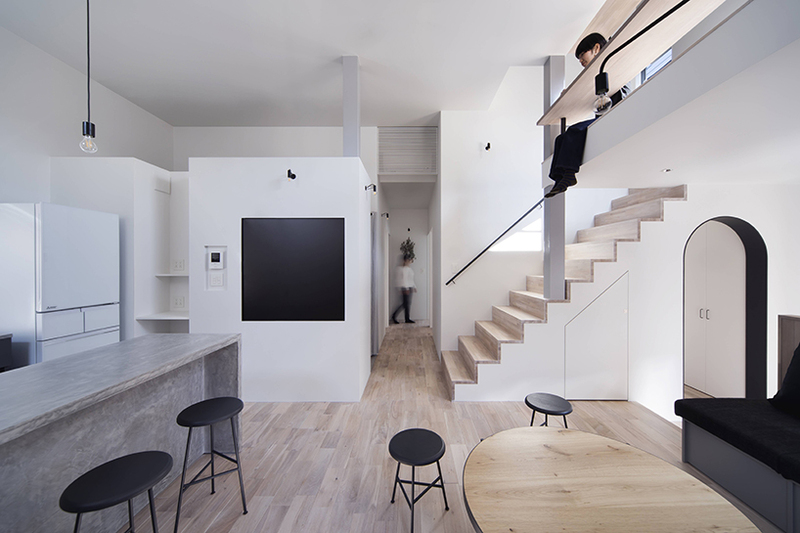 Similar to the loft shelving, the large flat screen television is built into one of the living room walls able to be seen by those sitting on the sofa below and those sitting on the loft above. An island separates the living room from the kitchen serving as an area for meal preparation, dining and as a room divider. A neutral color palette with a clean-cut and contemporary style keeps the residence, shared by 8 different people, well-kept and maintained. The design alleviates the need for discrepancies in the placement of furniture and personal belongings. This form of shared housing was carefully designed to provide a comfortable home for many residents to enjoy their individual lives within a community.